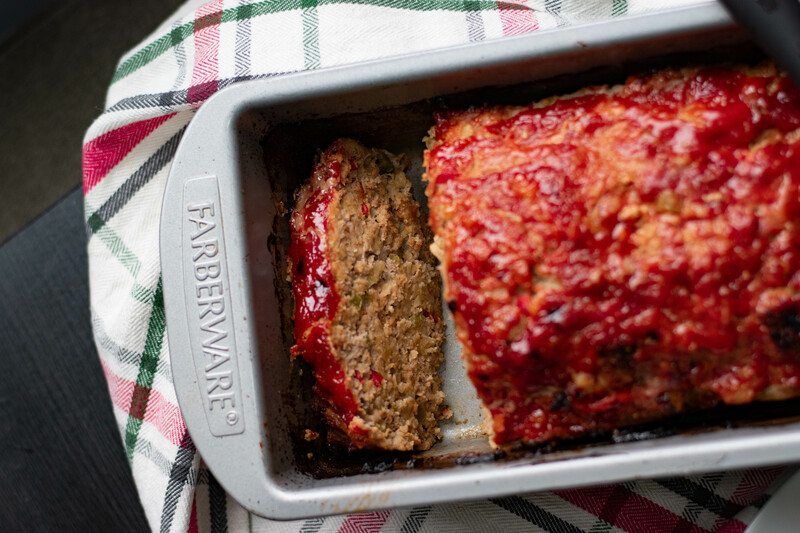 This horseradish turkey meatloaf is gluten free, egg free and dairy free. Not on purpose, I just don’t use those things in my meatloaf. I don’t actually think it’s necessary. Turkey tends to be dry, but not this loaf!! It stays moist because of the prepared horseradish with liquid, ketchup and grated onion! I also have used grated zucchini in the past and that has helped retain moisture as well. This is the type of food that doesn’t usually photograph well, but you’ll have to just take my word and give it a try. It is quick to prepare, flavorful and goes great with mashed potatoes. The mashed potatoes I linked have horseradish also (cause I’m sorta obsessed) but I would just omit that if you were serving it with this meatloaf, because even though horseradish is a magical ingredient, there is such a thing as overkill. You could replace it with some finely sliced scallions (or chives) and that would be a nice compliment. I reference a “brunoise” cut in the recipe. Click the link for a video of how to do that! Mix all the ingredients together, but careful not to overmix the ground turkey. 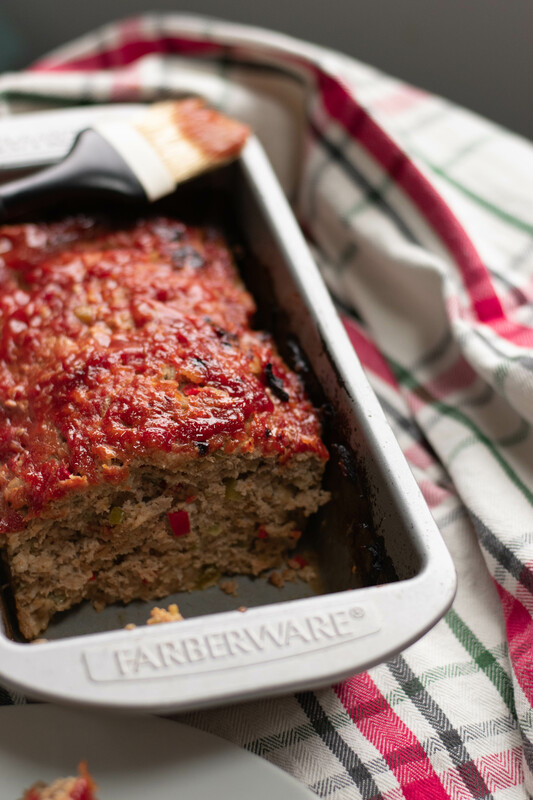 Mix ingredients for the top and brush it all over the top of the meatloaf. Spray a loaf pan before adding the meatloaf mixture. Top with the top mixure and cook in the oven for 1 hour. Then put it in the broiler for about 5-8 minutes, until it gets a little brown on top and around edges. Allow to cool for about 5 minutes before serving.